A shocking photo of a squirrel believed to be two-feet-tall is making its rounds on the internet. 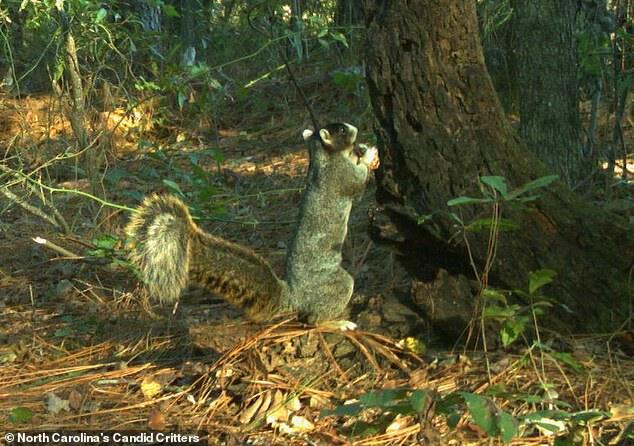 North Carolinians were left in disbelief after the snap of the fox squirrel was shared on Facebook by North Carolina’s Candid Critters. ‘This is one of the top photos of an eastern fox squirrel I have seen from Candid Critters citizen scientists!’ the post read. According to state officials, the squirrel was likely 26 inches tall, which doesn’t include the length of its tail, and probably weighed about three pounds. 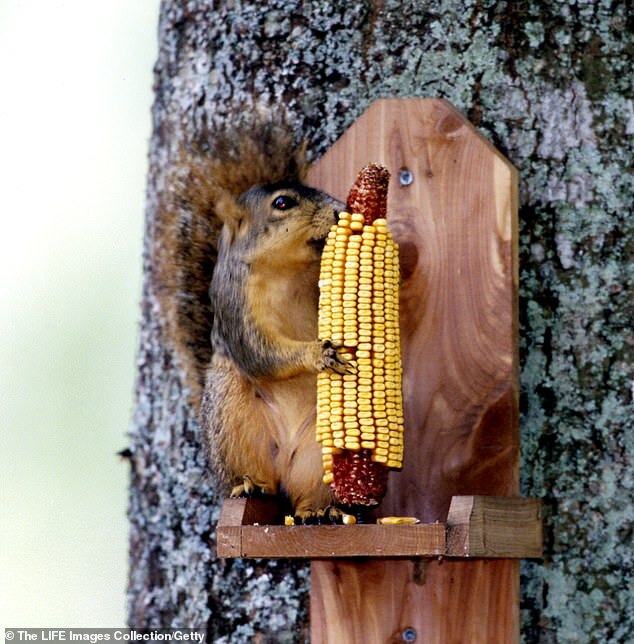 Those numbers in comparison to North Carolina’s red and gray squirrels – weighing 12 ounces and 1.3 pounds respectively – makes the fox squirrel twice as big. According to Candid Critters, the photo was taken in Robeson County, North Carolina. Fox squirrels are active during daylight hours and are occasionally seen by people, according to NCWildlife.org. They aren’t known for biting people, but they are considered a trophy by hunters and are often mounted. According to Candid Critters, the fox squirrel’s ‘coloration varies wildly: upperparts of the body can range from grey to black or tawny brown, often with a grizzled appearance, while the underparts can be white to reddish-brown, yellowish, cinnamon or pale grey’. ‘The top of the head is usually black, and some individuals have a creamy or white nose and ears,’ the agency added. Candid Critters said the photo was captured by camera traps in Robeson County. The camera trap program is being utilized by state biologists who are trying to learn more about the animal. The mammoth squirrel comes just a day after a farmer revealed his colossal cockerel who is believed to be the biggest chicken in the world. Merakli, who lives on a farm in Kosovo, is 3ft tall and weighs a whopping 7.7kg. 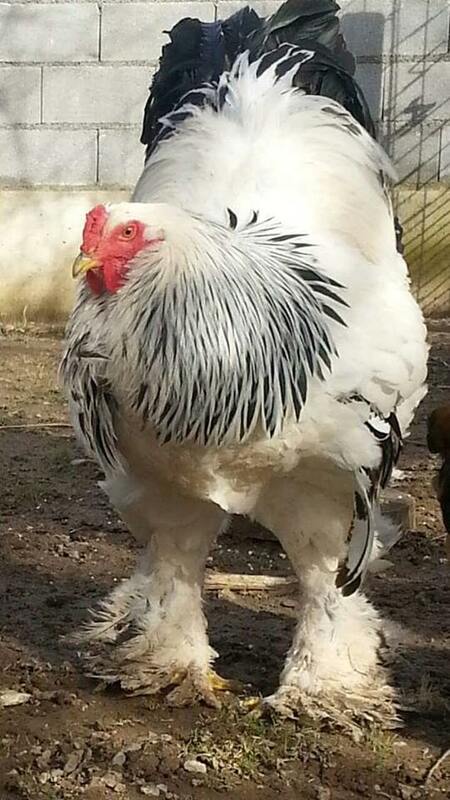 The Brahma chicken became an online sensation after footage of him strutting around his pen went viral last year. Now, his owner Fitim Sejfijaj has revealed Merakli has settled down – with two hens. 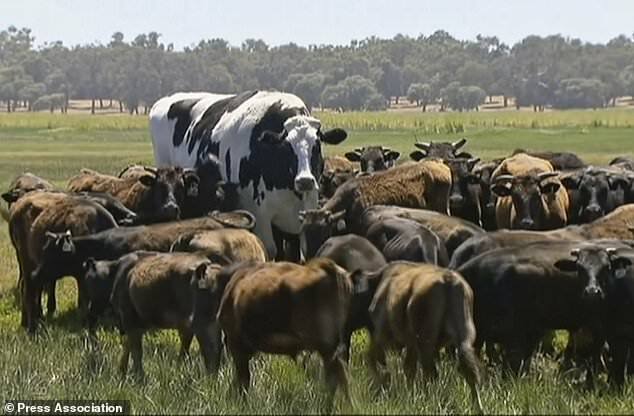 And before Merakli, came Knickers, the cow dubbed Australia’s largest steer. The seven-year-old steer stands at 6ft 4in tall and weighs in at 3,080 pounds. But if that sounds like a whole lot of steak and hamburgers then think again – when owner Geoff Pearson tried to sell Knickers, he was told by meat processors the steer was simply too big. Knickers will live out the rest of his days in Myalup, Western Australia.